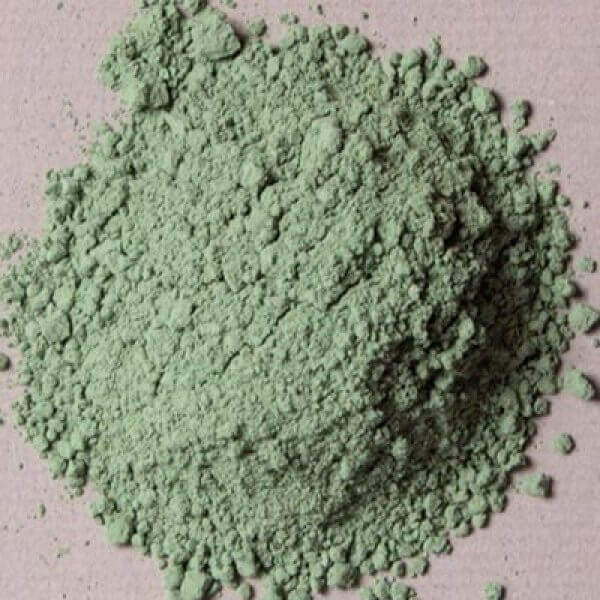 Details Verona green earth is the natural mineral glauconite, a greenish mineral of hydrated iron potassium silicate containing small amounts of aluminum, calcium, magnesium, sodium, and numerous trace elements. It is a bright green mineral that looks like tiny flakes of the mineral mica, or small lumps of clay. The color of glauconite varies considerably from pale green, bright green, bluish-green, olive-green, and black-green, depending upon its constituent elements. 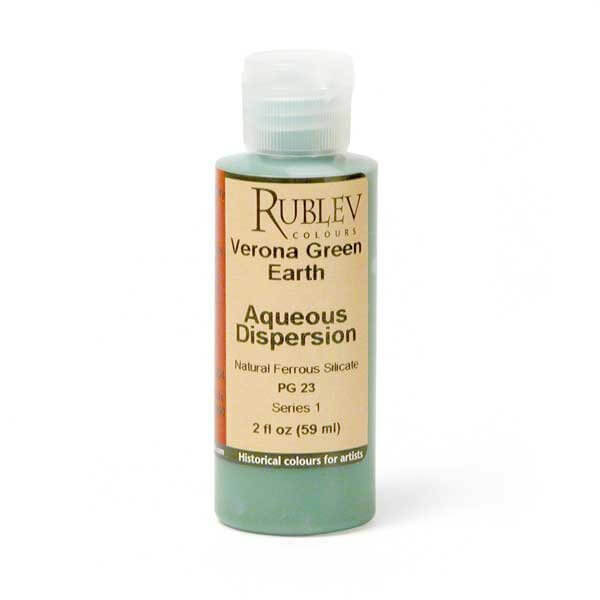 Our Verona green earth is from deposits in northern Italy near the famous sources of Veronese green earth and is a warm green hue with yellowish tints and undertones. The most famous deposit of green earth was found near Verona, Italy, and this mine was active until World War II. Other mines produced variations in color and texture of the pigment: Baltic states, Bohemia, Cypress, France, Hungary, Poland, Saxony, Tyrol, and the Mendip hills of England. Our green earth is from from open mines near Mt. Baldo, Italy.